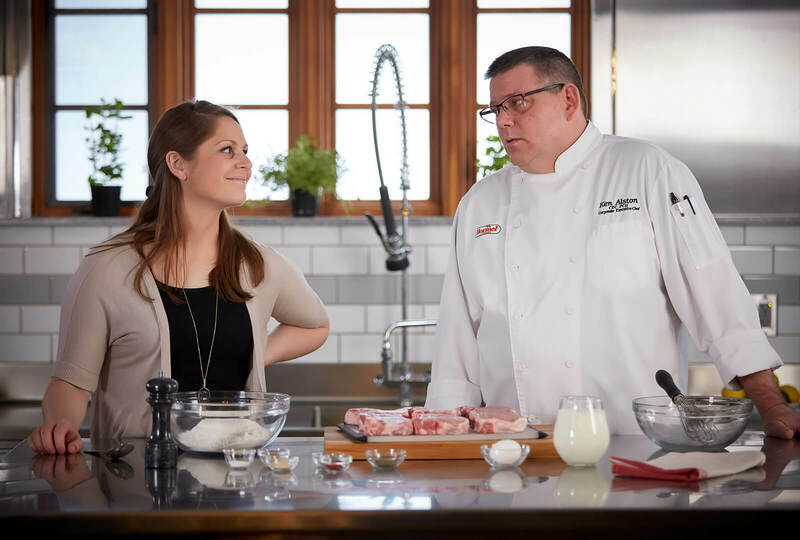 When it came time to invite a member of the Hormel Foods team to help roll out the first edition of “Cooking & Culture,” Harold Burden surfaced in the blink of an eye. 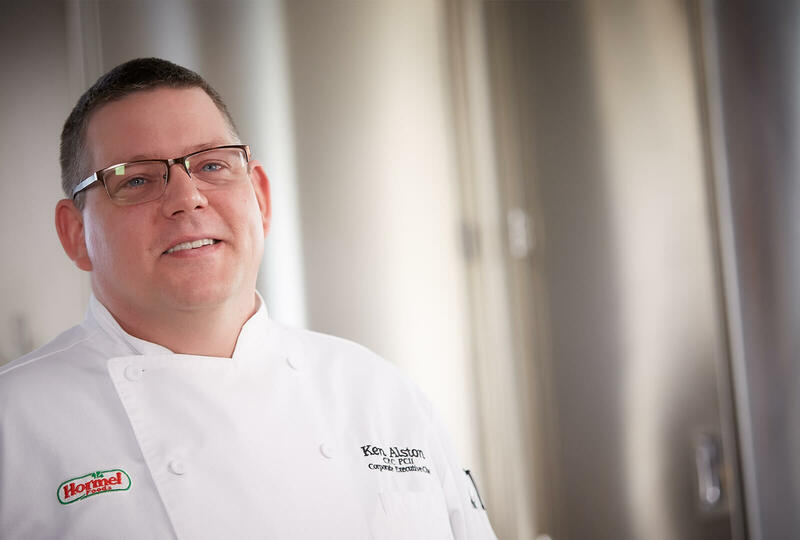 The manager of demand planning and specialty products distribution traces his roots to New Orleans, where he learned to play jazz and make a mean gumbo befitting his native Big Easy. 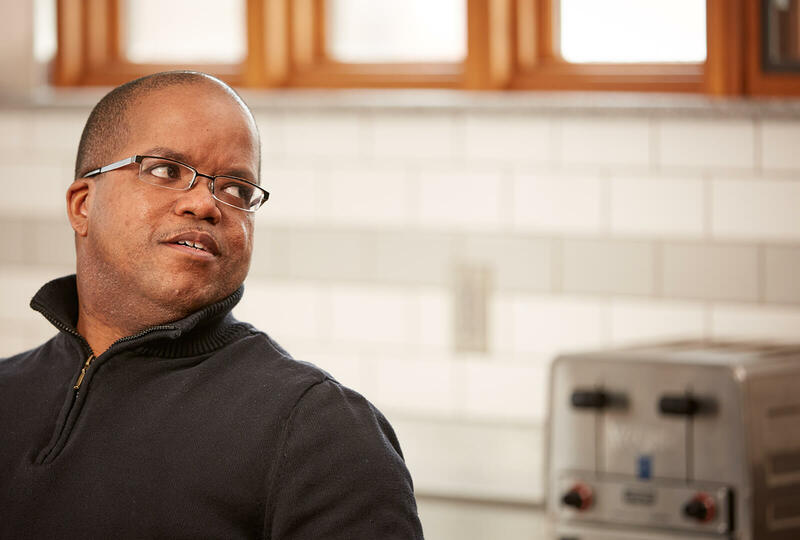 He’s also an inaugural member of the Hormel African American Employee Resource Group, one of nine such teams that strive to enrich the company’s workforce through diversity and inclusion. How did you get from New Orleans to Austin, Minn.? It’s true: Southerners don’t leave the South but I did. After receiving my undergraduate degree in marketing and management from Loyola University New Orleans, I went directly to the MBA program at Michigan State University. 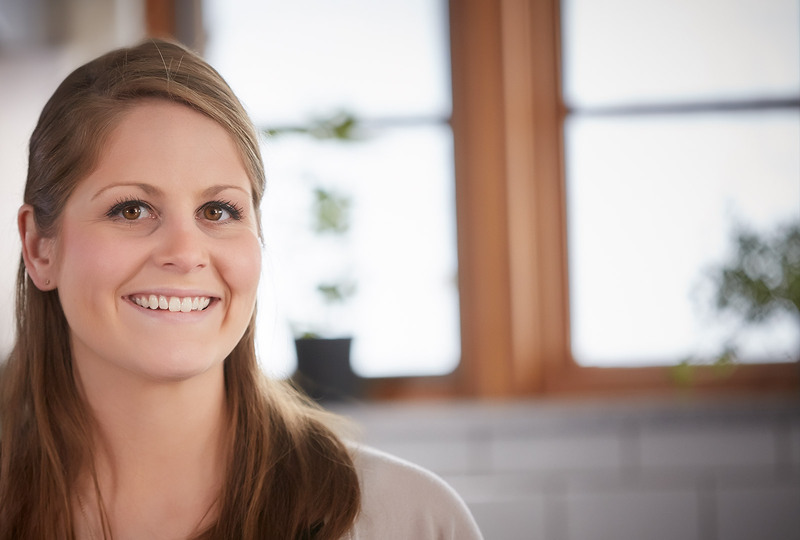 I was hired by Hormel Foods right after completing my master’s degree. It’s a testament to Hormel Foods that a Southerner like myself decided to leave home to make a new home in Minnesota. It’s a testament to Hormel Foods that a Southerner like myself decided to leave home to make a new home in Minnesota. Austin, Minn., is such a homey place but sure, I miss my native New Orleans, even though I’ve been away for nearly 20 years. At least once a year, my wife and I take our three children—who are all Minnesotans, by the way—to New Orleans for a week. I think it’s important for them to know their extended family and to see how my wife and I grew up. Tell us about those yearly trips to New Orleans. You have to start with the food because there is just so much of it. We hit all of our favorite places in town—Parkway Tavern for po boys, Snug Harbor for good food/live jazz and on occasion, Tastee Donuts and Popeyes Chicken—and that’s not even counting what my mom, dad and grandma cook up for us. My dad is big with the outdoor cooking—fried turkeys, crawfish boils and things like that. My mom and grandma—I call her Mama Emma—take care of the indoor cooking. The food is amazing, but naturally it’s the people we care more about. Mama Emma is getting up in years. I’m like a sponge when I’m with her. I want to hear about everything, learn everything she has to teach me. And I want my kids to know her, too. Have cooking and food always been important in your life? Food brings people together and that certainly has been true in my family’s life. When I was a kid, I always wanted to learn more. I think I was more in the way because I didn’t want to be in the corner. I wanted to be right in the middle of it. To this day, I love to cook. I’m a big kitchen guy. Three or four times a year, I do gumbo or bring jambalaya to the office. In my childhood, there was a daily getting together for meals. No matter how hot it got, the kitchen was always open. Our home was not spacious, but we would sit around a couple of card tables or a couple of trays and enjoy a meal. Tell us about your childhood home. I grew up in a “shotgun house.” (If you’re not from New Orleans, you might not know that the term describes a type of housing that’s very common there. The houses are the width of just one room and if you look in the front door, you can see all the way to the back. Hence, the name “shotgun.” It’s a straight shot from front to back.) We had a shotgun duplex. My mom, dad, two sisters and I lived on one side and my grandmother Mama Emma lived on the other side. My mom, dad and grandmother still live in that same shotgun duplex today. My sisters have their own homes/families now. One sister is in Los Angeles and the other is in New Orleans. What memory stands out in your mind? I went to their house once when I was 6 years old and they had a whole hog outside. They butchered it in front of me. Pig tails, etc., all got used. Nothing was wasted. It went back to slave times when the slaves got the scraps. Nowadays, the scraps are really valuable for so many “soul food” meals that people of all cultures enjoy. You mentioned your family’s history with slavery. Do you have any details that you would be willing to share? 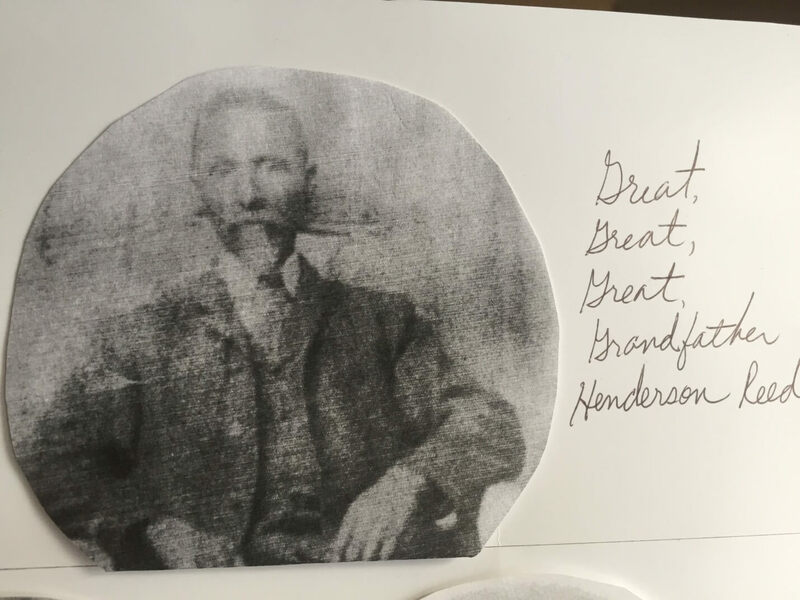 The oldest relative we have a record of is my great-great-great-grandfather Henderson Reed (picture above). He passed away in 1926. He was half Caucasian and half African American—his father was his family’s slave master. Henderson and his mom were the first slaves on their plantation freed after slavery was abolished in the 1860s. They took on the life of sharecropping and lived near Woodville, Miss. He was an avid horse rider. My grandmother told me that he disliked the fact that he was half Caucasian so much that he decided to marry a woman with a very dark complexion. Her name was Narcisse (no picture available). Together they had 17 children! One of their daughters, Sarah, is the grandmother of my grandmother Mama Emma. Pictured above is my great-grandmother Mary (on the left) and her sister Cissy. Cissy was a nickname for Narcisse, her grandmother’s name. 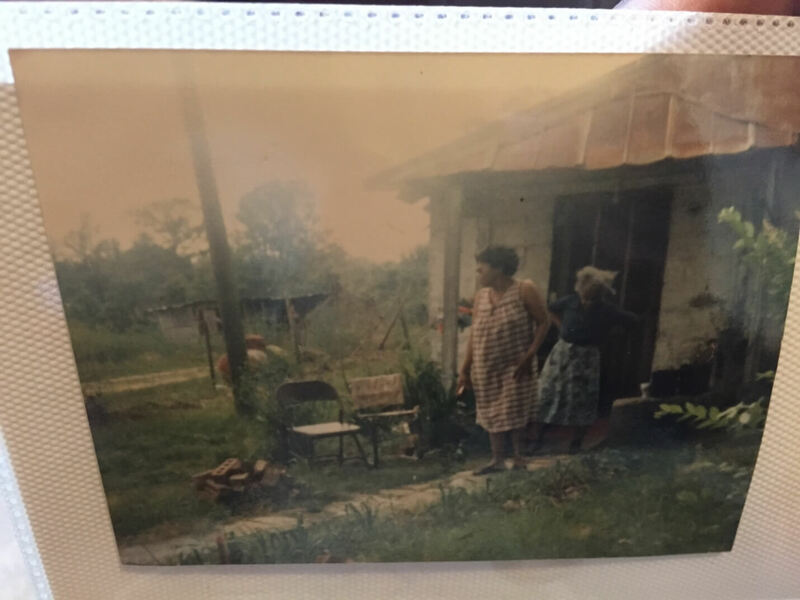 This picture is on the land/home where they grew up and worked as sharecroppers. They lived a very long time. My great-grandmother Mary passed away when I was 8 years old, so I was fortunate to get to know and hang with her quite often. She had five children; my grandmother Mama Emma was the oldest of her children. It was at Great Aunt Cissy’s home that I remember seeing the entire hog slaughtered and all the parts used or saved for family meals. Below is a picture of the house itself where Aunt Cissy lived in Centreville, Miss. It was right in front of the porch where I stood while they slaughtered the hog. That’s my grandmother Mama Emma on the left and Aunt Cissy behind her. There is quite a bit of land all around the home where again, my family worked as sharecroppers. I also understand that my great-grandmother Mary used to work for a Caucasian family down the road as their cook. She would often bring home “leftovers” in a big pot for Mama Emma and their siblings to eat at night. My grandmother Emma Banks (aka Mama Emma) is doing well today. 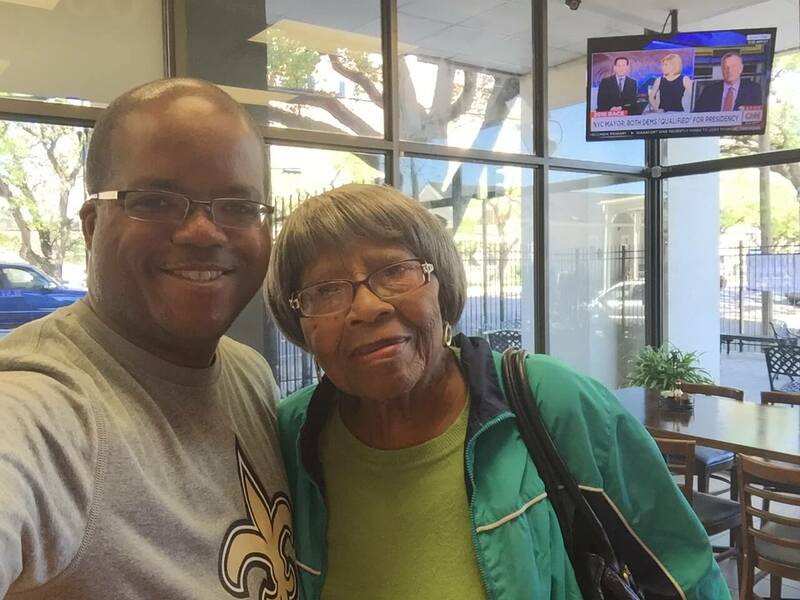 She is 90 years old, living still in our shotgun home in New Orleans and is as sharp as ever! I spend a lot of time with her and she continues to give me so much information on our family history, as well as some of the great dishes and recipes that have been passed down for generations. Below is a picture of my grandmother and me right after her 90th birthday in April 2016. What one thing have you brought from New Orleans (other than your amazing gumbo)? New Orleanians are notorious for nicknames. Just pick up a local paper and look at the obits. They always mention the name, nickname and last name. For example, I already told you about Mama Emma. 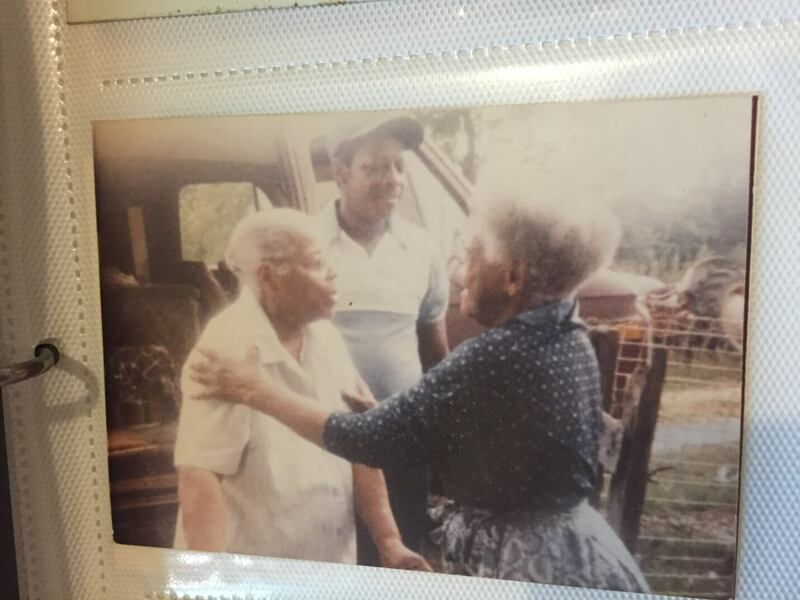 My paternal grandmother was Big Mama. Funny thing is, she wasn’t big at all. Tiny, in fact. But she was the head of the family, so she earned that nickname. I guess I brought the tradition to Austin. My nickname growing up was Baby Man and Lil’ Harold. Here at Hormel many people call me H Bomb, derived from my initials. I was trained as a classical pianist and transitioned to jazz in high school. I don’t compete anymore but I play for enjoyment. Music and food are so important in New Orleans culture. I’m proud to play a small part in keeping them alive. Pride of the Jersey – One Inspired Team Our commitment to cultivating inspired people and inspired food with…a jersey!